When most of us sit down to dream about “life as an author,” many of us envision rolling up to a Barnes and Noble for our book signing and seeing our books on the shelf and fans streaming out the door. 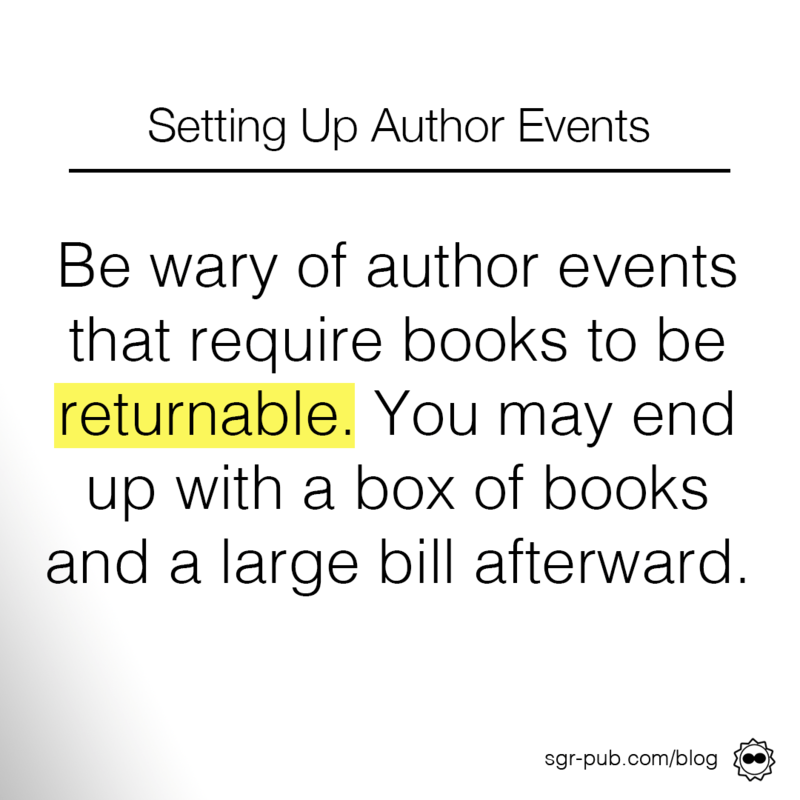 Unfortunately, the mere act of setting up a book signing doesn’t always conjure up this reality. But, with a few tips and tricks, you can fulfill your lifelong dream of having your very own bookstore book signing. A few weeks ago, we had a long discussion about the merits of CreateSpace vs IngramSpark. Here is where IngramSpark pulls ahead in the horserace. Because of Amazon’s policy of making all books printed through CreateSpace nonreturnable, most bookstores will not allow you to sign in their store. This protects the bookstore from having a glut of books that won’t sell, but it also limits your options. Now, this generally applies to larger chain bookstores and established indies. Some bookstores will let you bring your own and work out a consignment deal (usually 60-40 with you getting the larger chunk). This is an ideal situation, but lacks the funness of walking into Barnes and Noble and seeing your books already there. Speaking of the B&N, our experience is that it usually takes 3-4 months to get on their schedule. They generally limit their signings (our local store only does one per month). So if you’re planning on doing one in conjunction with a release, plan ahead. Each store has an event coordinator on staff (they may have a few stores in their purview) that you’ll work with. One of the big differences between a bookstore book signing and, say, a comic book convention, is that with the latter, there’s usually more of a draw. People are coming to a comicon see Steven Amell and all the Doctors, and you just pluck them off as they walk by. At a bookstore, you are the draw. Which can be a blessing and a bit of a curse. You’ll want to start spreading the word about your signing early. This is a good opportunity for a Facebook Ad, especially as you can localize the advertising to a smaller area and interest. It’s also a good idea to put together a press release (we’ll have more on that next week) and submit it to your local news organizations. You can also put up flyers in local coffee shops and restaurants. Maybe add an extra incentive if people say they saw the flyer, such as a signed bookmark. Most importantly, use your local network! Tell your friends to tell their friends, tell your mom to bring all her friends. You never know who might be a secret reader of your genre, so make sure you spread the word far and wide. If you’re doing the consignment deal, give yourself a few days buffer if you’re having the books shipped in. Also, keep in mind that books are heavy, so you’ll want to have help getting them inside. The last thing you want is to be sweaty when you’re in a bunch of photographs. It’s also smart to bring takeaways, such as bookmarks, businesscards, or any other swag you have on hand. And don’t forget pens or Sharpies! Arrive about an hour beforehand to make sure your table and books have been set up. You can also bring any banners that you’ve created to stand up behind the table. And then… get to work! The truth is, unless you’re a NYT bestselling author with a legion of fans who’ve all preordered your book (which may happen someday! ), most people are going to be at the bookstore for some other reason. You’ll need to convince them why they should come visit you and your book. This is a great job for friends and family who’ve (presumably) already bought your book. Send them out into the store to find prospective readers and ask those folks to come visit. And don’t forget to take lots of photos and enjoy this big day! For our money, book signings aren’t the best way to utilize our time. 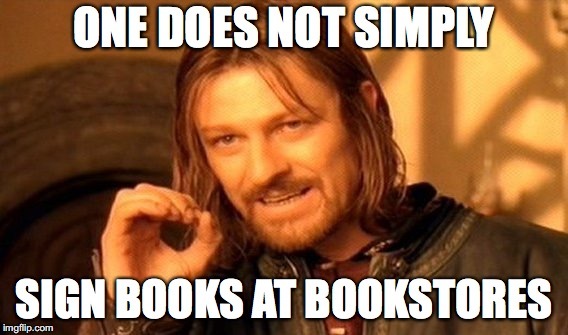 Especially ones where the bookstore purchases our books and then returns them if they aren’t sold. If you do Barnes and Noble, about six months after your book signing, you’ll get a box in the mail with the remainders. Now, if you’re an author who does a lot of in-person events and conventions, you can sell them later. But if you don’t do a lot of events, you might be stuck. Additionally, IngramSpark will charge you the cost to print + $2 for each book they return. If we’re talking a box of 20 hardcovers at $16 each to print, this can add up quickly. But, on special occasions, it is nice to get the star author treatment.